The more I see of Delve in Office 365 the more excited I become. Why? Firstly, Delve is HUGE point of differentiation between Microsoft and its competition. Secondly, it provides powerful yet simple insights for average users into the vast array of information sources they have in Office 365. Delve quickly integrates information from SharePoint, OneDrive, Email, Yammer and more in a single pane of glass and prioritises that based on your interactions. It also allows you to not only view your Delve but the Delve of others in your team to see what they are up to. 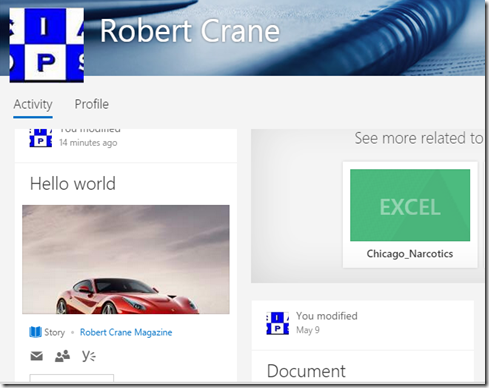 Delve is also become the central location for information about you in Office 365. It contains your profile information, who you are and what you do in the business. 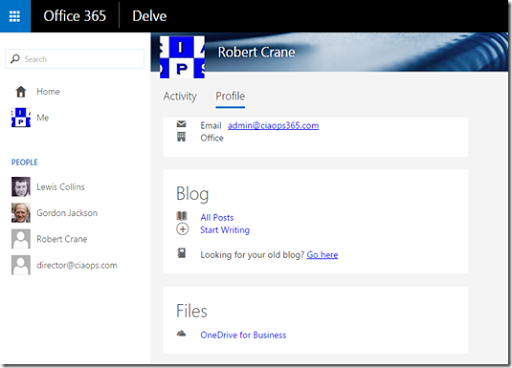 One of the options that you can now incorporate in your Delve profile, as you can see above is a blog. This new Delve blog features replaces the old one from SharePoint and provide a much easier way of creating and sharing your thoughts. In a short order of time your blogging platform is read and you can create your first post. The editing platform is currently very simple (which is great) and very, very reminiscent of the new Office product, Sway (also coming to Office 365 soon). The easier it is, the more likely people will use it. All editing is now done directly in the browser (or the mobile app). You basically create a title and add a banner. Then you type some text for the body as well as featuring a document from SharePoint that is embedded in your post if desired. This potentially allows you to use more detailed formatting if you need. This is great since if you wanted to be really visual you’d include a PowerPoint or potentially a Sway when it come to Office 365. You then Publish the post when you are ready and there you have your first blog article. Posts will now show up in your Delve activity feed, as seen above, that will also be made available to others in your team via the magic of the Officegraph technology that is powering Delve. 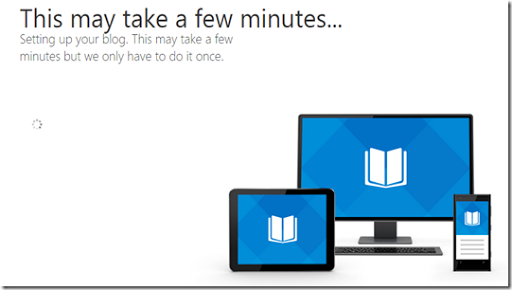 One of the big advantages of Delve is that you will be able to blog on the go using the mobile Delve app. As yet I can’t see how to do that just yet, but I know it is coming. So you can be out on the road, snap some pictures, write some text and get that up onto Delve to share with your team. Magic! To my way of thinking Delve is becoming such an important part of Office 365 because it offers a gateway to unlock the vast treasure trove of information and value that a business creates around all Office 365 services. Having all of that surfaced quickly and automatically for users based on its relevance to them is a huge boost to productivity and collaboration that has never before been available. Combine that with the ability to consume and create content on a mobile device demonstrates to me that Microsoft really does get the concepts of the new way of working, that is social and mobile. My questions to you however are, do you get it? Are you using Delve for increased productivity? If not why? Delve is the key that unlocks all the power that the complete Office 365 product brings to a business and it is only going to improve. Embrace the new way of working today with Delve.